An abrupt end to Qualifying 3 did not slow Fach Auto Tech as the Porsche 997 GT3 R sealed pole position for the 2015 Dubai 24 Hours. The penultimate qualifying session was red flagged after a hefty accident that included the #4 Scuderia Praha Ferrari 458 Italia GT3 clouting the barriers, but a largely trouble-free run during the night stint saw the #12 997 of Otto Klohs, Martin Ragginger, Jens Richter and Sven Müller nab the top spot with a 1m 57.562s laptime. Just over three tenths further back was the #2 Black Falcon Mercedes SLS AMG GT3 of Abdulaziz Al Faisal, Hubert Haupt, Yelmer Buurman and Oliver Webb, last year’s winners Stadler Motorsport nailing third place with a 1m 58.096s. The second Porsche 997 GT3 R in the top three is driven by Mark and Rolf Ineichen, Adrian Amstutz and Christian Engelhart. 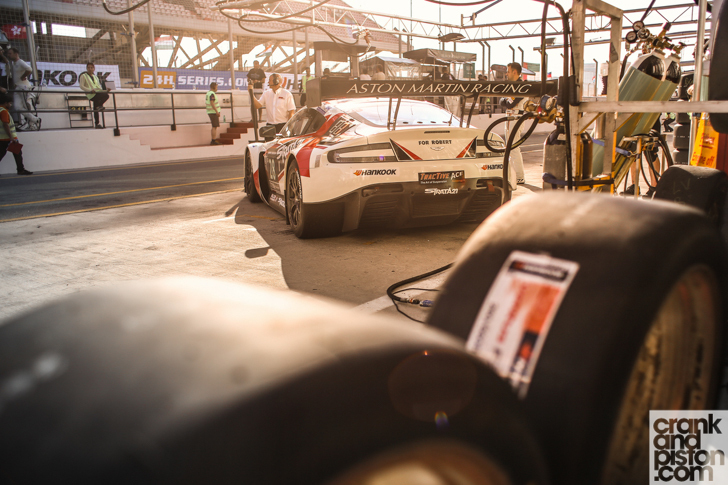 For live radio coverage from Radio Le Mans, be sure to CLICK HERE and select LISTEN LIVE.